Sheets are among the most important sleep accessories we use. They not only keep us cozy at night, they dress the most important piece of furniture in our bedrooms — the mattress! 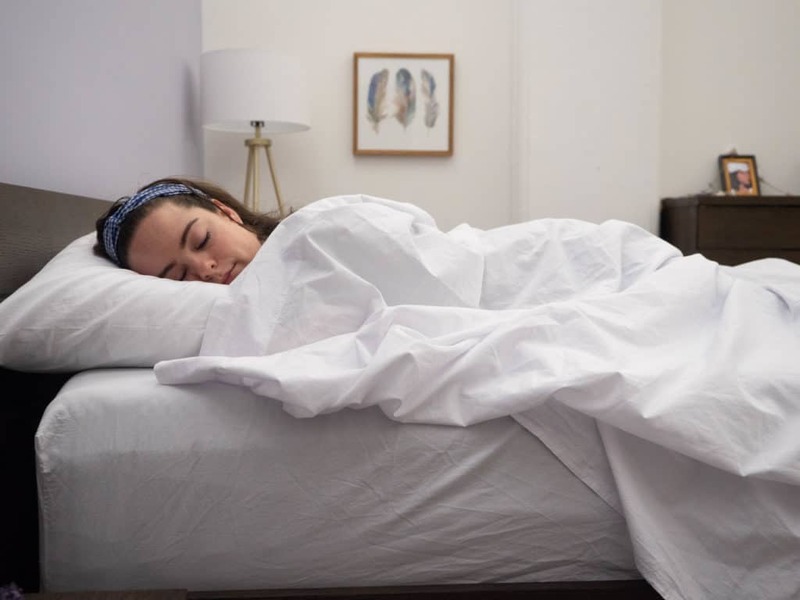 So, when you’re on the hunt for the perfect sheet set, it’s important to make sure they are compatible with your bed, your body, and your lifestyle. 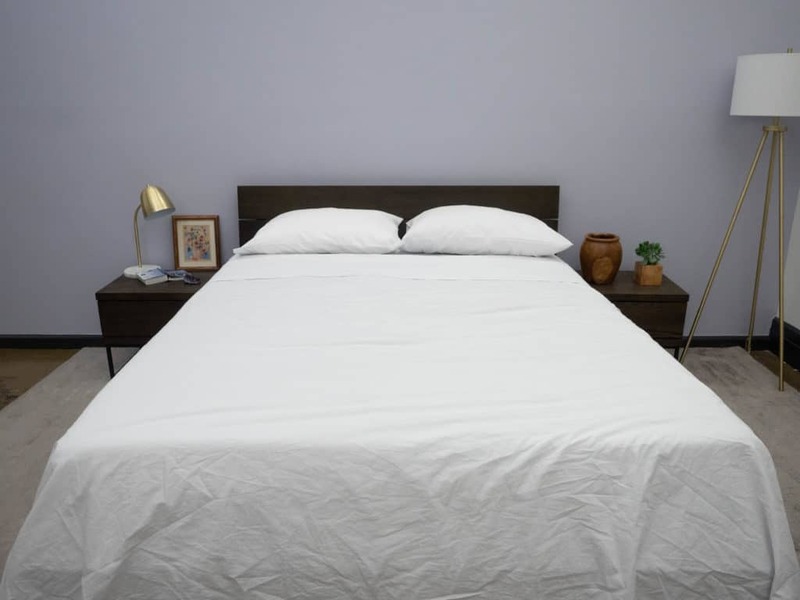 In this review, I’ll be taking a close examination of the white garment washed sheet set from Lime & Leaf. I’m going to roll around in these sheets so that I can get a better sense for what I like, what I’m not so crazy about, and for whom I think these sheets might be particularly beneficial. No time to read my full review? Click here to head to the summary! Cool, crisp, and oh-so-soft garment-washed sheets offer sleepers a super cozy place to sleep the night away. WHAT ARE THESE SHEETS MADE OF? These sheets are made from 100% Supima, also known as Pima, cotton. Supima cotton has a reputation for being super soft as it’s woven from fine, long staple fibers. 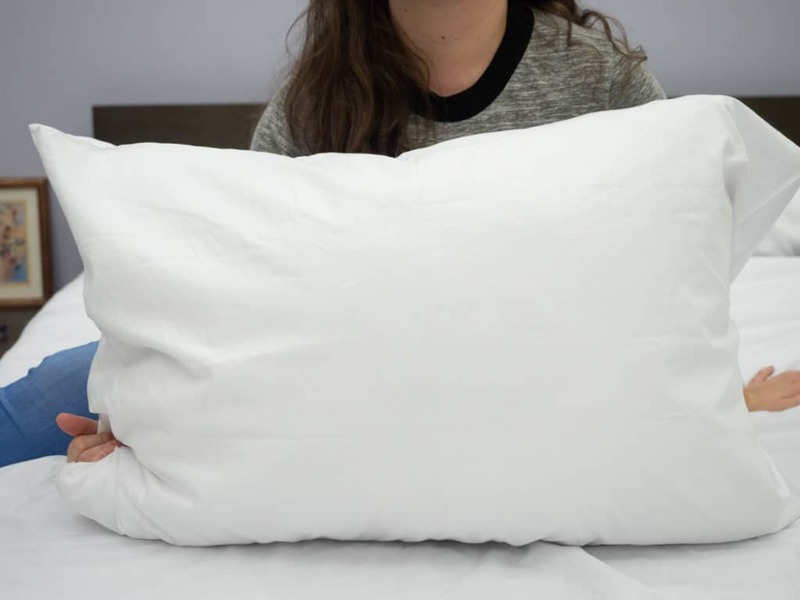 When you’re browsing the bedding aisle, it’s a good idea to pay attention to what I call the ‘fiber factor.’ Many of us have been taught to strictly pay attention to thread count, but there’s a lot more to consider! Pro Tip: Not all cotton is created equal! Typically, the longer the cotton fiber (or staple) is, the softer the sheets will be and the better they will perform! These sheets are percale woven which gives them a cool crispness that is generally characteristic of a percale weave. However, they are also garment washed, so you might find them a little less crisp (and a little more soft) than some other percale woven sheets. Like most percale sheets, though, they do have a cool handfeel and feature a lightweight breathability that might help you sleep cool. This sheet set features a 250 thread count and, like I said, they feel pretty lightweight. The set I’m reviewing here is in white, but Lime & Leaf does offer four other color options for the garment washed sets. And the company gets a lot of their style inspiration from nature, specifically the beach. So, all of the sheet sets have a beachy, sea tone to them. 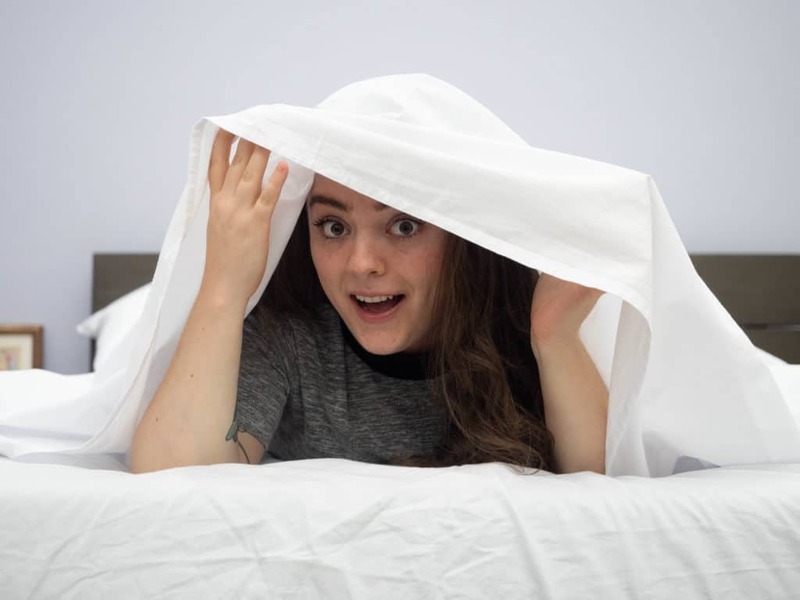 This sheet set comes with a top sheet, a fitted sheet and two pillowcases. The pillowcases open on the side (which I always appreciate), and the fitted sheet is capable of fitting mattresses up to 15 inches deep. 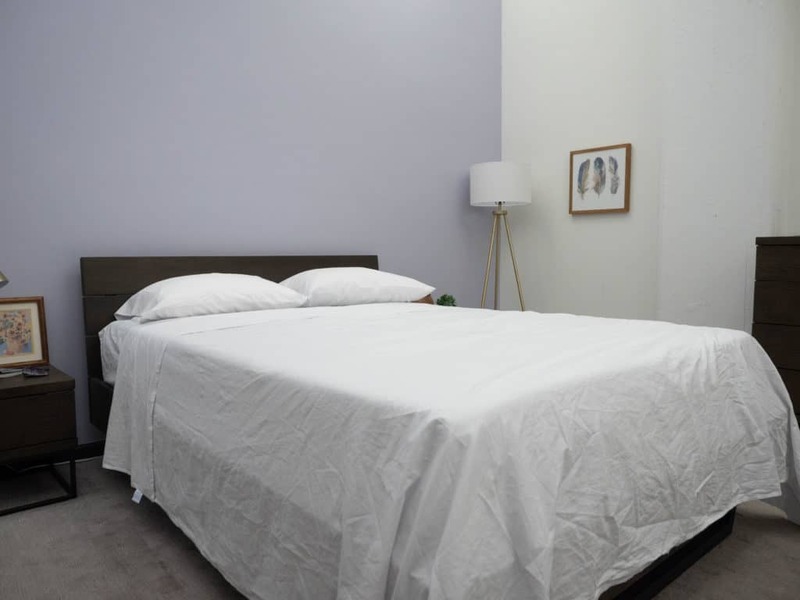 These sheets have a cool, crisp handfeel as is characteristic of cotton percale sheets, but the garment washing does add a soft smoothness that sets these apart from other sheets I’ve tested. 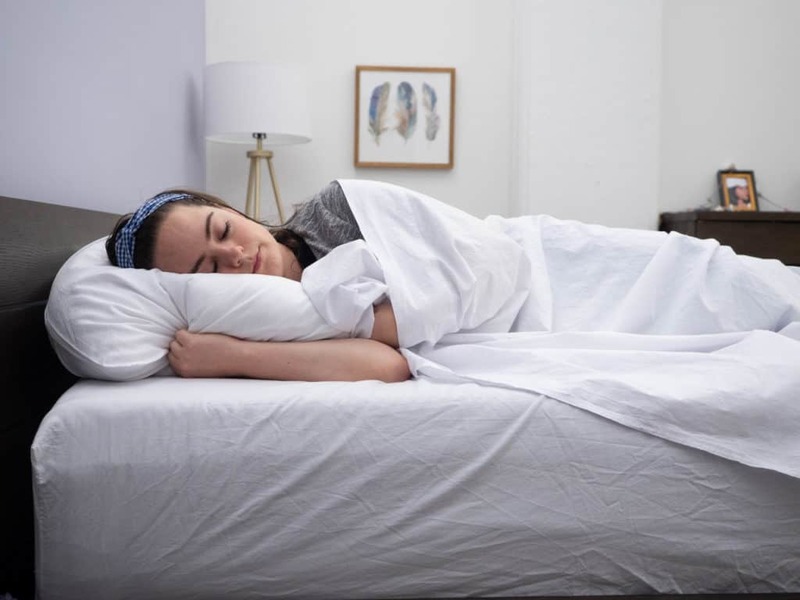 The folks from Lime and Leaf describe the feel as, “how their grandmothers’ sheets used to feel; cool from the percale weave and soft from many years of washing.” And I’d say that’s a pretty accurate description! Like I said, these sheets are pretty lightweight and when you fan them over your mattress, you can tell that they are pretty breathable. They’ve got a very cozy-cotton personality, and they feel durable as well. I used this set on a mattress with 10” depth, so I had no trouble securing the fitted sheet. The fitted sheet is capable of accomodating mattresses up to 15” deep, so there was a bit of leftover fabric that I just tightly tucked beneath the mattress. Percale sheets do tend to wrinkle a bit easier, and this set is no exception. However, the garment washing already creates a sort of lived-in look, so it’s kind of hard to tell if the wrinkles are an intended aesthetic feature or not. Personally, I don’t mind it! Fun Fact: The founders of Lime & Leaf are sisters who grew up in New Jersey! My first impressions of this set were that they are super-duper soft, and really light and breathable. As I was dressing my pillows and mattress with this bedding, though, I noticed something a little unique! While this set is technically the garment washed sheet set in white, they do have a bluish tint to them. Upon further research, I learned that due to the finishing and garment washing processes, the fabric adopted a bit of a bluish hue. If you hold up a piece of paper of another piece of white fabric next to these sheets, you’ll clearly see the difference. There’s nothing toxic or accidental about this, but it’s something to be aware of. As soon as I jumped into bed, I felt how cool and soft these sheets felt against my skin. They did feel very lightweight and breathable, so I had a feeling they would be especially useful in the summertime. I’m a hot sleeper, so I do appreciate bedding that can help keep me cool. That being said, I live in New York where there winters routinely get below freezing, so I’d probably swap them out when the chilly months start to roll in. I’m a combo sleeper, and I do a lot of rolling around in bed; so, I was pleased to note that the fitted sheet never became untucked. When it comes to sheets, I have two main criteria that must be met before I will even consider them for my own personal use. The first one is all about how the fabric itself feels on my bare skin, and the second one is how well the fitted sheet stays on the mattress. Once those factors pass my approval, I feel free to dive deeper into the details! 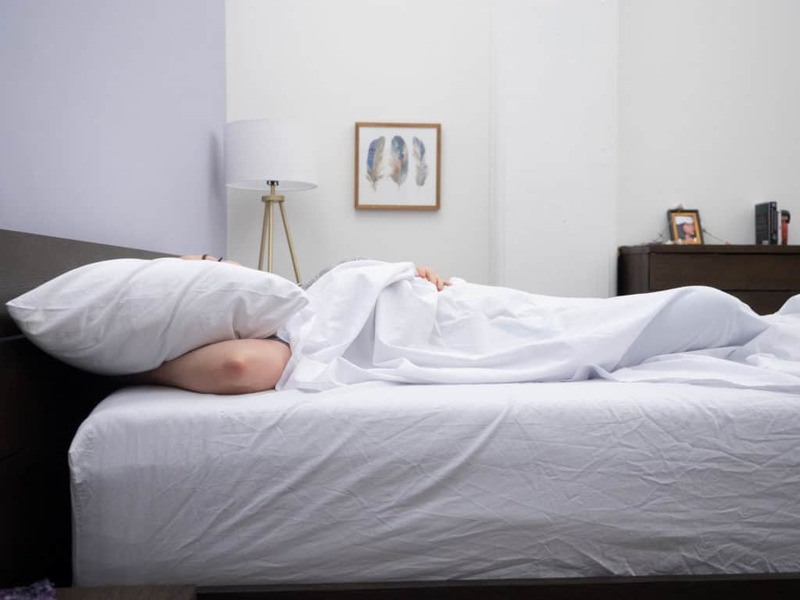 So, with the garment washed softness feeling great on my skin, and the fitted sheet staying securely tucked beneath the mattress, I was feeling pretty satisfied. Additionally, I do enjoy the worn-in look (bluish tint and all) that these sheets have. I feel like it adds a little flare that separates them from the countless white cotton percale sheets on the market. I do think that a set of white cotton sheets are a bedroom essential, but it’s kind of nice to find a set that’s got a unique look and feel. Ultimately, I think the folks at Lime & Leaf got it right. These sheets do have this ‘I’m about to take a nap in my grandmother’s spare bedroom’ kind of feel, and I find that comforting in a lot of ways. I think it’s important to note that these are cool, light, and breathable sheets so you might want to take them out of rotation in the wintertime. Also, they do have a bluish hue to them, so I wouldn’t consider them pure white in color. However, I think this set brings something special to the sheet game and would make a great addition to anyone’s bedroom collection. SHOULD I TRY THESE SHEETS? Like a Garment Wash — The garment washed nature of these sheets really brings a charming quality to the bedroom, in my opinion. It not only enhanced the softness, but it also adds what the company refers to as a “worn-in” aesthetic that has sort of a rustic vibe. So, if you’re into that or think it would match well with your bedroom, I would definitely test these out and see how you like them! Sleeps Warm — These sheets are cool, light, and breathable. If you’re prone to night sweats or heating up during the course of your slumber, these might be a great fit for you. Not to mention, they are machine washable and are designed to just get softer with every wash. Kind of a double perk there. Needs Time to Decide — Something that always takes the pressure off for me is a trial period. Lime and Leaf lets you try these sheets for 30 days before you have to come to any tough decisions. If, after a month, you’re not really feelin’ these sheets, just send them back for a refund. Wrinkly — As is often the case with percale woven sheets, these do tend to wrinkle easily. It doesn’t detract from the comfort or anything, but from an aesthetic standpoint, it’s not ideal. However, because they are machine washable and dryable (yay!) pulling them out of the dryer as soon as they’re done, and spreading them over the mattress while they are still warm might help to keep the wrinkles at bay. Light & Cool — If you’re a warm sleeper or need help keeping cool in the summertime — these are a great pick. If you’re looking for some cozy warmth, however, I’d definitely test these first before committing them to your bedroom. They are very light and breathable which makes them great for cooling (and not so great for keeping warm). Off White — Due to the garment washing and finishing processes, these sheets are not exactly white. Instead, they have a bluish tint to them. I kind of like it and think it sets them apart from other white cotton sheets I’ve tested. However, if you’re counting on sheets that are as white as snow — these aren’t it. 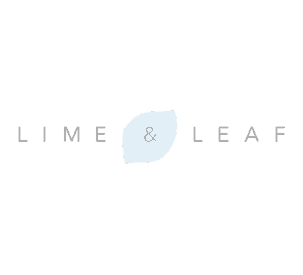 Shipping — Lime & Leaf offers free UPS ground shipping on all orders to all 50 states. Care Instructions — Machine wash in cold water on a gentle cycle. Separate colors. Do not use bleach. Tumble dry low. To reduce wrinkles, promptly remove sheets from dryer when finished. You may iron if needed. Trial Period — You have 30 days to decide if you like these sheets. If not, you may return them and be refunded via your original form of payment.